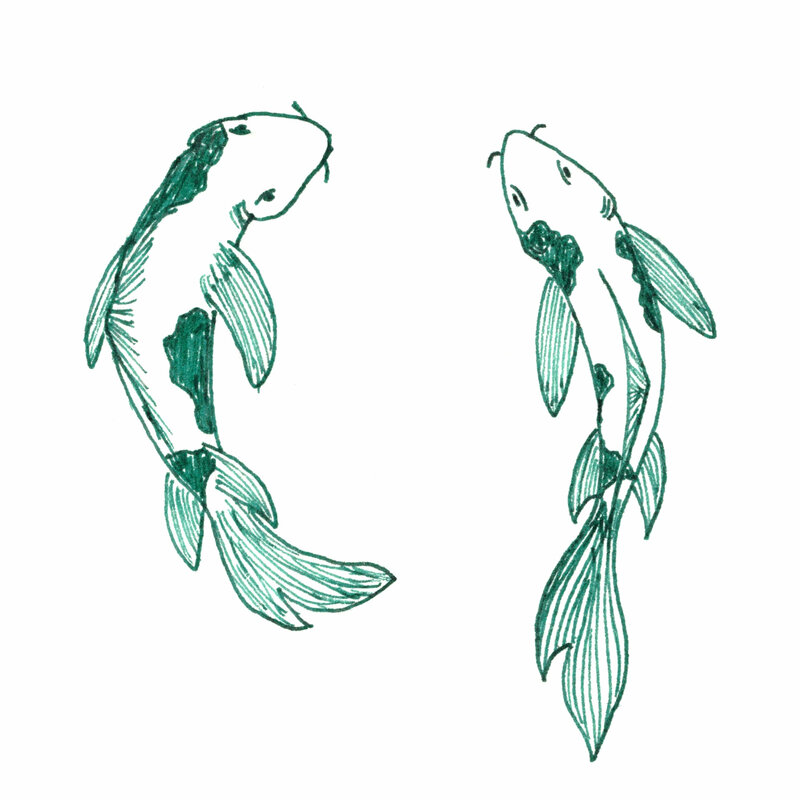 I actually tried to stick to the theme of the day so I gave it a go myself and drew some Koi fish using Pelikan 4001 Dark Green. Now this ink for some of you guys might not be anything special, but I firmly believe that the 4001 is one of the most iconic and best lines of ink available. Interestingly you can’t buy this ink Romania! Unfortunately Pelikan doesn’t distribute it in the country because they think it wouldn’t sell. So we’re stuck with the standard blue, black and red because those are the most popular colors.